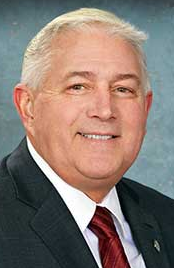 Current senator: The current senator for the 32nd District is Sen. Ken Horn (R-Frankenmuth). He represents all of Saginaw County and the western portion of Genesee County. According to his official website, Horn previously owned a restaurant and was vice president of donor services at the Saginaw Community Foundation. He was also a Saginaw County Commission member. Horn is the chairman of the Senate Economic and Small Business Development Committee. A map of the 32nd District is available here. Sen. Ken Horn raises money through a candidate committee, Ken Horn For Senate, a leadership PAC, Horn Senate Majority Fund, and an administrative account, the Spirit of Michigan Fund. The Spirit of Michigan Fund hasn't disclosed any donors since the end of 2014.